Oh, John Denver. You folksy bard, you. Getting my life, all the time. I think I’ve been needing to escape city life this summer. Evidenced by the fact that so many of my posts have been about traveling or hiking or getting outdoors. Go figure that the Alaska girl wants to play outside all the time. Huh. Who could have guessed? So, escape I did. The boyfriend and I decided that since we both had some time off, we needed to go on an adventure. When I plan adventures, I don’t cut corners. And since I’ve lived on the East Coast, I’ve discovered a ton places I’ve wanted to visit. Most of which involve sleeping in a tent on the ground and clambering through the woods and up mountains. I might be a little crunchy. Whatever. On the docket? A little jaunt down to Shenandoah National Park, a quick 2.5 hour drive from DC. We stayed at Loft Mountain Campground, and the nice thing about going this late in the season – before Labor Day weekend – was that there were plenty of campsites available for the nights that we wanted to stay. Saturday morning, I got my long run out of the way (because #marathontraining, yo), I picked up some donuts (because #marathontraining, yo), we packed the car and were on our way. We pulled into camp that afternoon, set up the tent and did a little exploring around the campground. We actually had our first wildlife sighting within ten minutes of unpacking – a young deer decided he was just gonna chill on the trail in front of us. There’s a pretty good chance that he was a little high. Or something. Just tooottttaaallllyyyy chilled out. After stretching our legs, we settled into the campsite for the night, built our fire, cracked a couple of beers and I started making dinner. The trick to campfire cooking? Prepare ahead of time. Trust me. I had done some meal prep earlier in the week that made dinner SO easy and so delicious. Best life choice? Foil packets. I chopped up some onions and potatoes, tossed them in olive oil, salt, pepper, garlic, etc, wrapped them in foil and tossed them on the fire. In the other foil packets, I took salmon filets, seasoned them with a little salt and pepper, and topped with lemon slices. Those joined the veggies on the fire for about 10-15 minutes. Result? Dinner that is the Bomb.com and super easy to clean up – also important when camping. Our second night, we went a little more traditional campfire with a twist and did brats over the fire. No regrets were had. None. All of it was yummy – especially after the long day of hiking that was Sunday. The boy, ever the musician, brought his drum pad up the trail and fulfilled a bucket list item by playing on a mountain top. The kid was like Drum Jesus. It was great. By the end of the day, though, we were both beat. Back to camp to make dinner, drink beer, and have the best camping treat ever. S’mores, duh. Seriously. 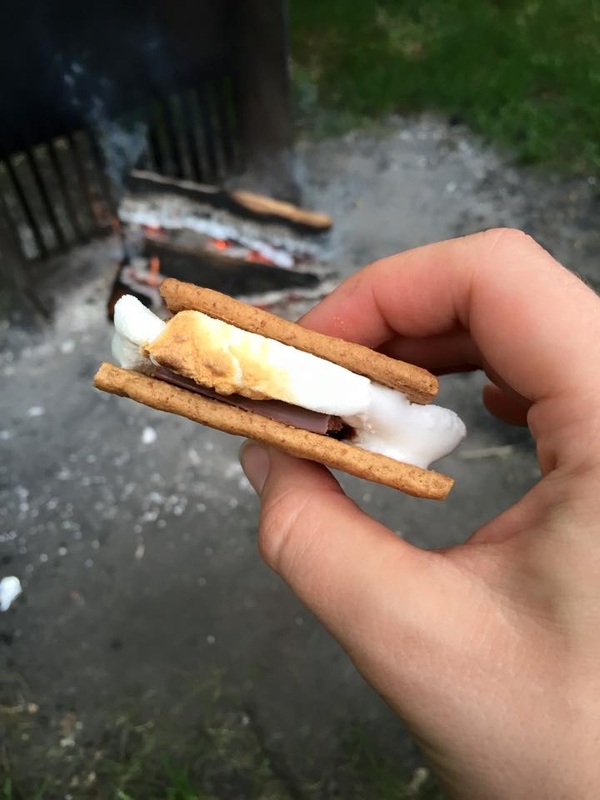 Camping is always made better when chocolate, graham crackers and marshmallows are involved. I’m already looking forward to the next time we’re able to escape to the woods. 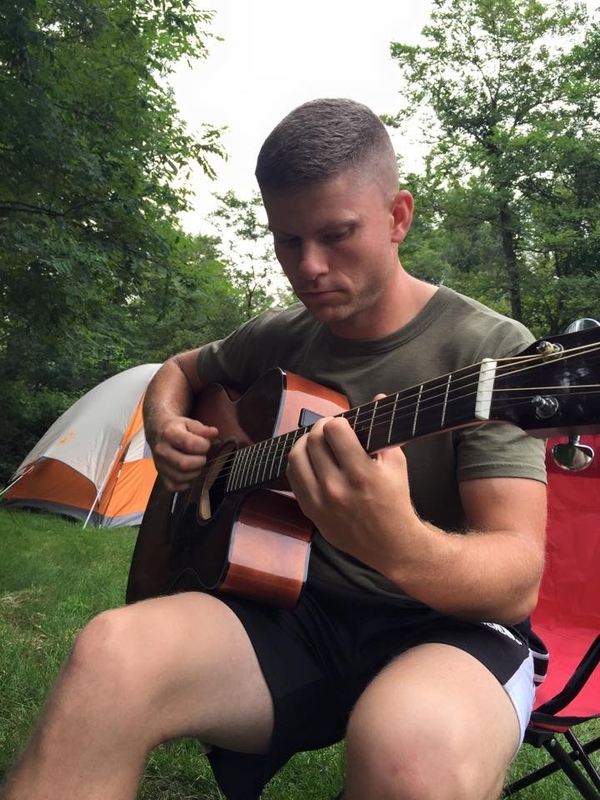 What are some of your favorite places to camp? What makes them special to you? This entry was posted in Food, Fun stuff. Bookmark the permalink. ← Let’s ROCK Our #Journey2aMillion, Team Scootadoot! This looks like so much fun. I haven’t been camping in years, but I want to go. I love campfire cooking.